Traveling is a favorite thing for everyone. But the thing is that, rather than experiencing the travel itself at its best, we are actually doing things that we shouldn’t. We don’t realize that we are making mistakes while traveling that can lead to less in getting the best experiences. If you think that enjoying the nature destination surrounded by the plastic waste is a mistake, at least you don’t contributing in it. But did you know that your phone can even be the “poison” to yourself when you are traveling? Instead of enjoying the nature with your bare eyes, you are choosing to capture images over and over again and that will need more times than before. So that, I am here to tell and remind you about how you can really maximize your traveling so you can really enjoy the trip and all of the processes you will getting through. Below are ways you can achieve your best travel experiences ever. Phone, laptop, camera, internet, etc that are allowing you to get in touch with another part of the world, your friends and family can be you own friend or an enemy. Seriously, things may are not getting worst while you are in nature and keep on capturing pictures aka selfie and upload them on your social media. I won’t say it will be a travel sin while you keep on connecting with the others, the thing is, you can’t really control what you are doing. Taking images, video calling your friends is good, but you should have known that you are there to pamper yourself with the beauty of nature and what the destination is actually offering you. If there won’t any urgent condition where you should keep your phone on all the time, it is better for you plug yourself out of the world for a moment and enjoy the destination you have visited so far. Traveling itself can be the spiritual moment for some people to think about life and what to do next, so you’d better maximize your time by doing the same or things that can lighten up your eyes and mind. Keep in mind that traveling is an antidote of your daily routine, so you’d better wise with that. This will still correlate with the above first point. If you are not really need to get to work at the destination you are going to pay a visit, don’t you think that a laptop won’t be necessarily to bring at all?! Keep your luggage lighter so you can move comfort and faster without make your shoulder hurt. This will also one of the reasons why many online writers are keep on telling us all about the packing-hacks to keep us organized and bring only those that giving us benefits not the burden. 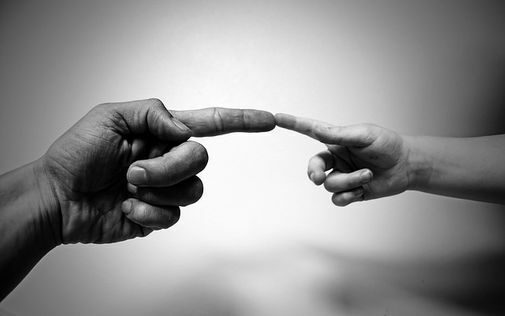 We may are imagining about experiencing a travel at the remote island where you can even count on the other people with your own fingers. I will tell you for the second times that it is not a mistake at all for being at the private place where no body disturb all of your golden moments. But, have you been thinking that sometimes, when you are sharing, caring to the others, that can also be the great experience in a trip? When you are helping the kids to buy them a pair of shoes, won’t that experience crafting a smile on your heart? Those all the things that I think will give you a chance that can contribute in how you can maximize your travel experiences. If there will be a mistake in that, let me know about it. The luxury and beautiful hu’u Villas Bali is offering you the 3 bedroom villa Seminyak when you are traveling with kids or a little bit large groups. It is a great choice when you want to keep all of the travel members entertained while stay in comfort. In general, when you are looking for an accommodation that can be fit and enough to be used for some travelers, many are even recommending to rent a villa for family or friends holiday than finding hotel rooms that will keep you separated. If you are bringing the kids, I think the 3 bedroom villa at Seminyak will also be the most kids and family friendly accommodation ever since the building will only be stayed by your family members and not the others. Renting the villa will also keep your privacy on different level where no matter the outdoor activities you are going to do–as long as you are still inside the villa area, you are almost have nothing to be worried of. Even though there will still disadvantages by staying in the 3 bedroom villa at Seminyak, the advantages themselves are still important to know to help you considering about the type of accommodation to reserves. The 3 bedroom villa presented by hu’u Villas I am talking about is not even reaches 5 minutes by walking distance. 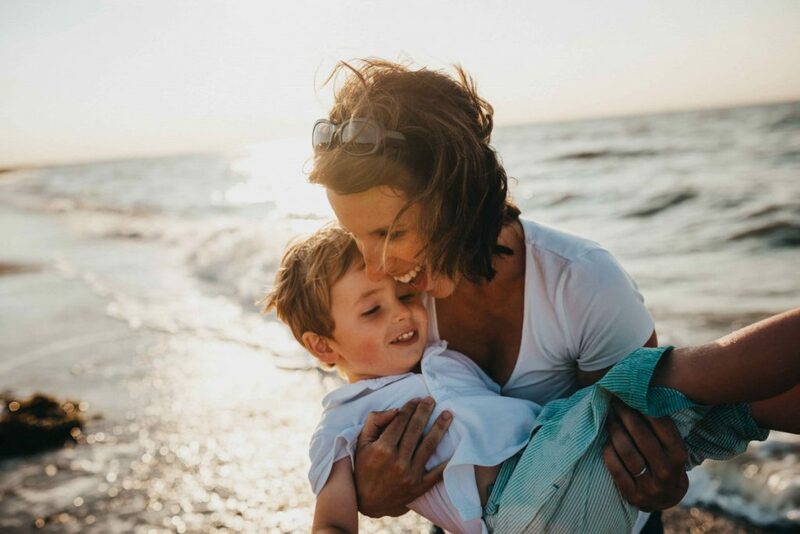 While the villa itself can be the most suitable place nearby the beach, your family will also get an advantage for being closer to the tourist destination and attractions too. Imagine your kids will even possible to go there by their self and if you will need to come along, there won’t be much time will be spent for it. And as you have known that Bali has so many interesting things to do while you are at the beach. Kids won’t lie if you have been chosen the right accommodation and location if you guys will be there someday. There will be many laughs involving here. Trust me in that. Renting the 3 bedroom villa at Seminyak will also a start for staying in amazing destination itself. I don’t even know how to reject this offer. We are still going to talk about the water-related activity here. After the white sandy beach and the sea, you’ve actually got a private pool at the first place that you can access 24hr/7. No time limitation for that since the pool is at the side of the living room of this 3 bedroom villa. If there will be a kid’s birthday event, you will realize that the living room is connecting to the outdoor space where the pool is at. Meaning that undergoing the fun event for the kids will be possible and can be the great place for that. And as I have said on earlier, your privacy is guaranteed. Not even a small bargain for that. The interesting thing about the accommodation including renting the a villa in general is that, you will not only get it base on how many bedrooms you will need. You won’t stop there, don’t you? What if all the rooms will be narrow, don’t you think that it will be on your consideration too? And ever since I won’t recommending you such narrow residence, the 3 bedroom villa at Seminyak that is brought to you by the hu’u Villas Bali is surprisingly large and luxury for sure. The private pool itself is 32 square-meter, can’t be the largest one in Bali but you must be known that pretty much large than your family need. I am going to tell you that the villa management itself has its own parking lot in front of the lobby. I am telling you this because there are so many villas at Seminyak that are located in the alley where the car or taxi can’t even take you in. 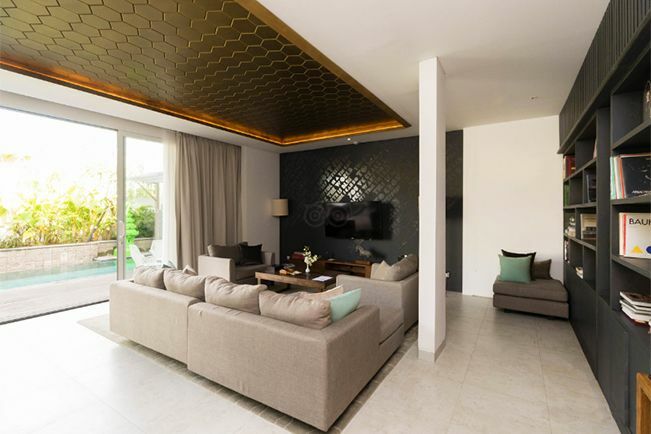 So, in case you are shopping a lot of stuff and need a taxi or the rented car delivering you up to the front of the villa’s lobby, you are good to go for renting this 3 bedroom villa at Seminyak. The parking lot and the wider alley might not be the important things that can affecting you in making decision but as you may need to know that they will also allowing you to move comfort and faster. Taking a break for hectic work is such a great idea because then you can have time to relax and forget about all hassle you have in life. Of course, travelling is not a way to fix your problems. It is like a distraction so that you won’t get drowned into stressful life. Travelling to secluded places can be a good way to let yourself relax. It gives you time to think clearly with your head. There are many travel destination considered as secluded enough that you will be far from nosy crowds. It’s not wrong to travel to touristy places. However, travelling to more secluded destinations has more healing qualities to it. Yearning for some quiet and peace is just normal that you don’t have to question yourself when you feel like you need it. By travelling to more secluded places, you will receive more privacy and peace without needing to deal with anyone. If you are wondering where to go, below are some recommended destinations for your peaceful escape. First is Carmelo, Uruguay. It is one of the most recommended places if you wish for peaceful vacation. In this place, you will make the most of your vacation time by enjoying the clear sky, beautiful scenery, and many other interesting you can enjoy alone. Bets spots to check out include beaches and vineyards. This spot is claimed to be secluded and secret, offering riverfront beaches with a wine thriving scene as well as dining scene. 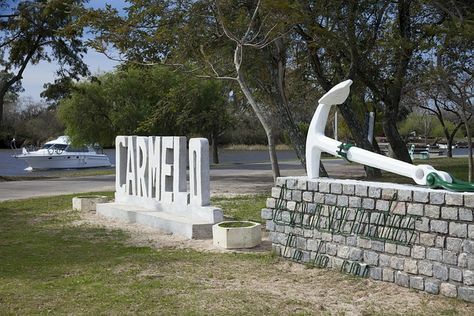 It just take a ferry ride from Buenos Aires to reach Carmelo. 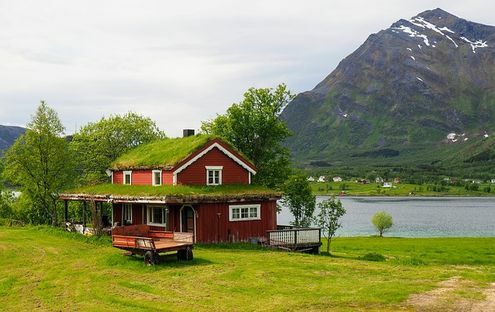 Next is the Lofoten Island at Norway. Frankly, it has the most breathtaking scenery to enjoy. For peaceful vacation, this place is just perfect. Warm climate makes this place stay pleasant to be visited in any season. You can access this place using plane or ferry. There are bridges connecting four main islands so it will give you memorable experience to venture around the island. Even though this place is considered secluded, there is modern hotel as well as fine restaurant so your vacation will stay enjoyable. Your next travel destination is the Eagle Island, Georgia. This place is also recommended for quiet, peaceful escape. This is actually a private island that you can reserve beforehand. Thus, make sure to make reservation prior to your travel plan. It costs about $427 night. You can have this private island all for yourself. Is you need a place for total isolation, this is exactly a place of perfection to accommodate your needs. Or, this can also be a perfect place to invite your close-knitted friends for private vacation. During your stay in this island, you will have a house with five bedroom to use. Last one recommended destination to go is Tuvalu that can be considered as one of the least-visited countries in the world. It is situated halfway between Australia and Hawaii. You will be enjoying empty beaches in this low-lying island. This is a perfect place for having no distraction. A great place to stay isolated temporary and get your mind relieved from all the stress piled up caused by works, relationship, money, etc. just enjoy the place to yourself and do everything you want. Running a business in Bali is great for many of foreign investors and businessmen, it is where an international market exist. And you have known so well that website itself can be one of your most valuable sales tools. If the site will be well-designed, you can then accurately represent the business brand and speak to your customers. In turn, those can be possible to lead the business to generate more sales. But we aren’t here to talk about how much profitable your business is by making use of its online presence. Let’s find out ways how you can hire the best Bali web design agency so you can get an effective site that will really support your own marketing concepts. 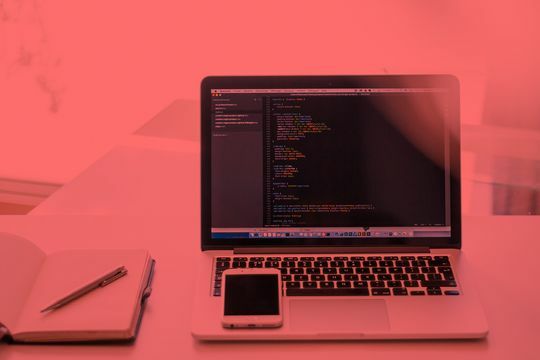 For the unexperienced businessmen that never have been hiring the web designer or collaborating with a website design and development agency in Bali or wherever will be, hire and sign the agreement with an agency can be hard and confusing. They may don’t know what they are doing but hope for the best as the result. Most of the businessmen will only know how they want the site will be seen by them and then can be used to support their business on internet whether or to sell something or offer the services. And sometimes, there are still those people who are not looking for the web services online for uncertain reasons they have. But you don’t need to worry about many things. All you have to do is to open yourself to the internet things and have a plan to build a good web design and you can leave the Bali web design agency things to me. I will tell you how you can hire one as below. If you are looking for the quality team of a web design agency in Bali, portfolio or the agency’s previous project can be the first thing you have to do. This is actually the very common thing the people will do to see if an agency’s team is pretty much skilled and professional or not. Doing that also mean that you can visit some of the agency’s client sites and see how good their website designs are. You can even evaluate how does the sites are designed, which platform are used, how good the site speeds are, and many more. If there is one or two projects or clients you have found on the agency’s portfolio and by any chance you know about them, you can start considering that agency as where you will need the best web design if you are thinking the team will meet your requirements. Even though there are many of the businessmen don’t know much about website designing and developing, doesn’t mean that they don’t need to start reading the information about them. There are so many platforms that can be used to build and design a website. Mostly using the CMS (Content Management System) can be the popular thing to build a site until today. You can choose to use the Squarespace, Joomla, Wix, WordPress, Laravel and so on. The more platforms the agency is mastered, can be the great sign for you. But even if they are only possible offering you one or two platforms, that will be good too as long as they are really good at it and that’s the platform you will need to use. 3. How price is measured by the Bali web design agency? In Indonesia, most of the project prices or fees are measured by how long and how difficult the project will be. Many Bali web design agencies are also doing the same. They are as if having their own fixed price per project but not limited that if the better the brand is, the expensive the price will be. Besides that, there are also some of the best Bali web design agency that are offering the customers to paid the designers hourly. Mostly, this kind of agency will be those who are owned or ran by the foreigners. But, no matter how the web design services are measured the price, all of them will have their own advantages and disadvantages. That’s why I will keep on reminding you that visiting the agency directly can be the solution so you can ask about anything including the time estimation to finish the web design as well as the price estimation. It is understandable if you have already lost your interest to travel especially if you travel quite a lot. You may have experienced various types of trips that you feel like you have tried everything. You feel like another trip is something boring you don’t have to experience because you have been there done that. However, travelling is unlimited though. Thus, it is always possible to find another new travel experience that you want to try. Lots of people sometime didn’t hesitate to try bizarre travel experience just to see if it was what they like. Well, experimenting never hurts anyway. Watching football with Argentinian. Well, watching football sounds cliché especially for boys. However, watching football match with Argentinian provide the sheer of mania that you couldn’t get in another place. The fans do everything whole-heartedly during the match, they sing, cheer, dance, and even scream to their hearts contents that you can positively feel the energy radiating. In addition, the fireworks, trumpets, drums, and other music companions just add the sparks of the euphoria of the match. Doing this in one of your travel agenda is truly worth it. Joining Brazilian festivals is such a great idea if you are already bored with similar vacation. 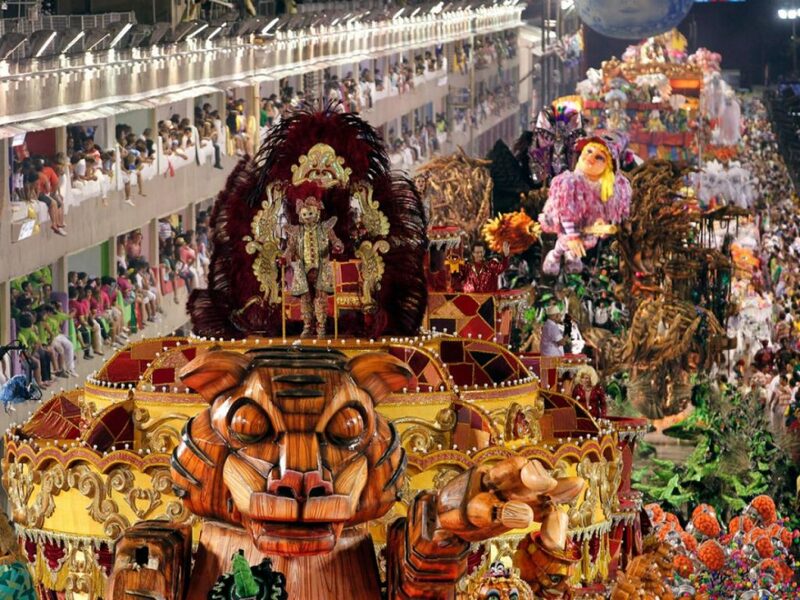 Brazil is one of the countries full of carnival, festival, and celebrations you can enjoy the most. They are diverse and colorful. You can’t miss the culture of samba in every festival. There are also dance battles, unique customs that fit the themes, and of course the enthusiastic vibes of Brazilians. This kind of experience is priceless. You can feel the buzz through every little detail. Have you ever tried attending Oktoberfest? Well, it is not truly a new thing since almost every city in the world has their own Oktoberfest anyway. However, there is Oktoberfest in Munich that you can attend. It gives you different experience. It is more than a simple festival when you drink and enjoy music. It is where you can experience the real party. Thus, attending an Oktoberfest in Munich is worth travelling for. Food hunting in Singapore. Amongst many countries, Singapore is one of the most diverse places where various cultures blend together creating new experience for every visitors. One of the best things to experience in Singapore is food hunting. If you are food enthusiast, Singapore is your heaven. You will find various foods in every stand you visit. Indulge yourself with authentic foods. You can even watch how the cooks make your foods like a show. Aside from high quality, the foods are more affordable. All holiday trips need preparation and planning. Especially if you are planning a scuba diving vacation. No matter whether you go on a scuba diving vacations for beginners or professionals, planning is a must for successful dives. Diving holidays are not just preparing clothes, toothbrushes, shampoos or other personal items. This is extraordinarily careful planning. If you have experienced the amazing sensations, excitement, and adventures that scuba diving has to offer, it will be possible to find other diving experiences. Diving in different places offers an atmosphere and scenery that is completely different from the previous spot. Scuba diving offers an amazing experience for beginners. The Scuba diving vacation for beginners will provide new perspectives and experiences. Some remote locations offer exotic marine life and beautiful coral reefs. 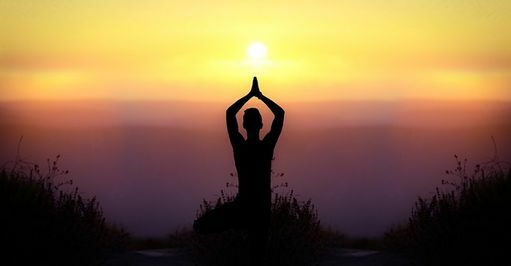 Valuable experience and opening new insights embedded in your mind. Scuba diving vacations for beginners infuse you with diving fever and make it difficult to think of other vacation trips. Along with the development of scuba diving, many hotels, villas or resorts offer many dive packages for scuba diving vacations for beginners up to various diving needs. Scuba diving vacation courses for beginners is a vacation that is very feasible to do. When properly prepared, scuba diving for beginners will make good use of money, this is not only a holiday break for you but can regenerate body and soul. Scuba diving vacations for beginners are the right holiday for your family. Bringing children to a memorable and enjoyable holiday experience, this is a sensation of joy for children. What is important and must be well prepared is to pack diving equipment. The diving suit is the most important for the convenience of diving. It’s good if you buy a suitable and fitting wetsuit. Diving might make some people scary. 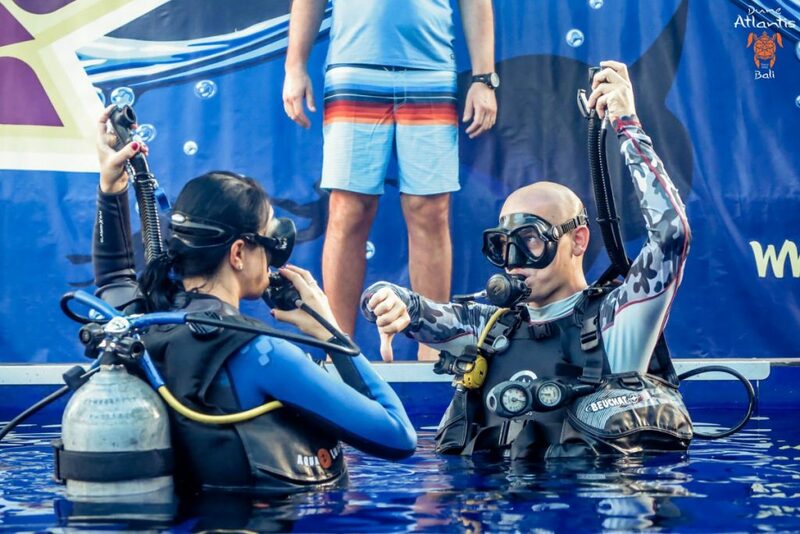 Initially it might be scary but with scuba diving vacations for beginners, you will easily master the basic skills you will train the respiratory system during diving and control your fears. You will be assured that the instructor will guide each step and ensure dive safety. Visiting a giant aquarium is very pleasant. Imagine if you enter the underwater world and look closely at species and marine life in their natural habitat. Even some shark species are very familiar with the presence of humans, so it is safe and will not overreact to your existence. A trip can be exciting and stressing. Which one is more than another depends on individual. However, nobody can truly be freed from anxiety or wariness during travel because of various reasons. One of the most travel stress triggers is air travel. Lots of people are stress due to air travel for various reasons. Some people are stress because the feeling of being too high up in the sky. Some others are stress due to the cramp and packed situation in an airplane. Or, there are also those who are stress due to the airport situation when they have to involve in a long line. Find out the real reason of your air travel stress. Is it the feeling of being trapped? Is it security? Is it the food? Is it customs concerns? Those are some potential reason of anxiety experienced by some travelers when it comes to air travel. By knowing the cause, you will know better of what to do to deal with it. Try to find a way to prevent the cause to happen. Or at least, try to find something that can distract you enough from those stressors. 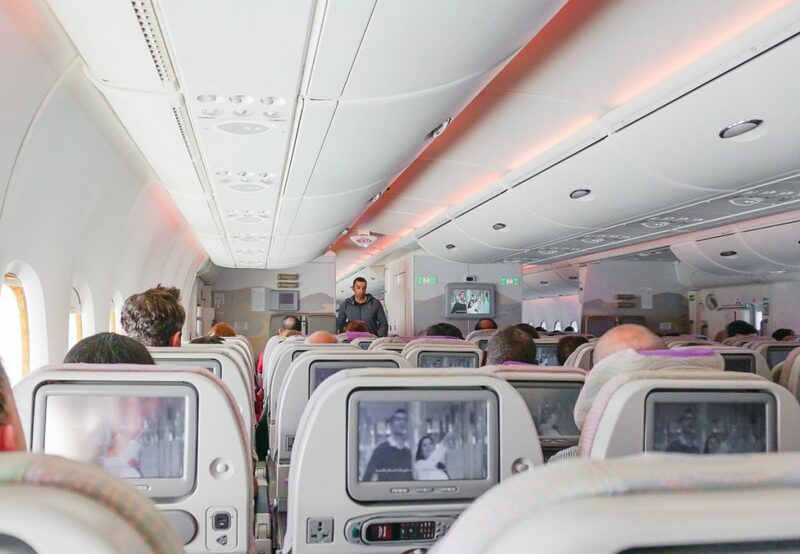 For example, if you feel like being suffocated during the flight, try to distract yourself by watching some movies, eating delicious foods, or wearing loose and comfortable outfits. Those at least can minimize the stress you have. However, there are things which unavoidable like a line for security check, cramped space, etc. to deal with the inevitable, try to make yourself as comfortable as possible. Try to do something to help you relax such as inhaling aromatherapy oil, bringing your own pillow to sleep better, or enjoying the music you love the most. Remember to pack your essentials and most valuable items in your carry-on. They include medication, important documents, money, IDs, etc. this can reduce the anxiety caused by the sense of safety of your belonging. This way, you will still have your essentials even if your luggage is lost or delayed. It gives you sense of security. There is also air travel stress caused by the fear of flying. 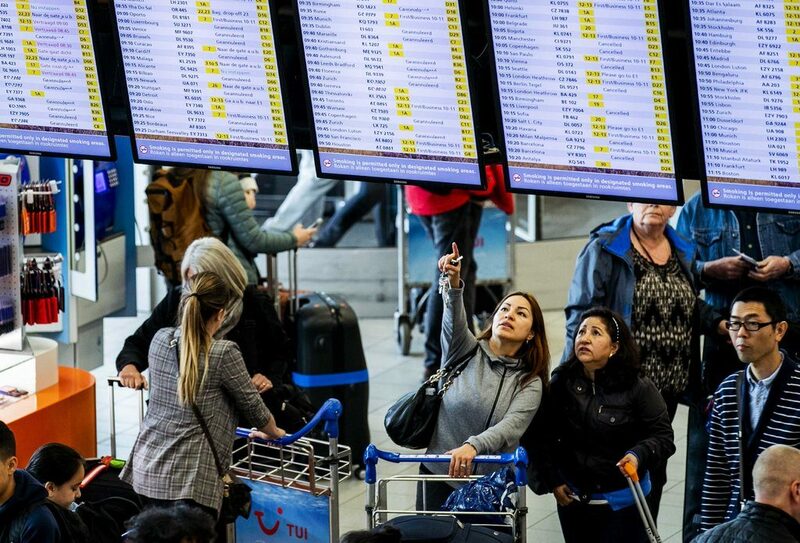 To deal with this stressor, you need to find out what makes you really afraid of flying. There are various possibilities include crashing, being trapped, germs, terrorist attack, etc. after finding out the real cause, try to find the solution to deal with it by doing your own research. If you are one of those parents whose sense of adventure doesn’t vanish once you have kids, you are definitely among those cool families. True adventure doesn’t necessarily end when the little feet arrive in this world—you’re just unclosing new kind of adventure. Even in remote frontier like the Komodo National Park, Flores, Indonesia, your family can still enjoy a comfortable tropical gateway and get immersed in its incredible beauty. Since travelling the Komodo is only doable by boat, it’s only natural if you want to pick the best Komodo liveaboard when you are taking the whole family onboard. Here, we have compiled the best liveaboard candidate to consider for your upcoming family trip. Alongside with the rest of Aggressor’s fleet of boats, the Indo Aggressor (formerly known as the “Komodo Dancer”) is one of the best Komodo liveaboard option for those who are taking families to a trip. Often running a long 7 – 11 nights departing on almost every two weeks, the 37m Indo Aggressor is big enough to host 16 passengers in extra comfortable cabins. Each cabins is well equipped with double beds/ bunkbeds, air conditioner, and TV screen—which will be enough to keep the kids happy and entertained. When you are not diving or snorkelling, you can relax with the whole family in the indoor saloon or lazying up in the sundecks, staring to the open sea. There are 14 crews to take care your needs, where they would also more than capable to cater the needs of the young traveler. Although it’s considered a little pricier than most of other liveaboard, the comfort and luxury in Bidadari sailing yacht makes it worth it. With 37 meters long and 7.5 meters wide, the ship is spacious enough for 6 cabins and 14 guests. Cruising at 7-9 knots, Bidadari offers a relaxing, laid back, and stress free sailing trip that would be perfect for the little sailors who are having their very first sailing trip. Two master cabins in the lower deck are made for true pleasure seekers, whilst 4 other cabins is equipped with a double bed and an overhead bunk bed to fit your family inside. You would be delighted to know that Bidadari is a non-smoking boat, means you can be sure that your children could breathe the fresh air of Flores without getting polluted from any smoke. You know the best Komodo liveaboard for your family is the one that doesn’t restrict the movement of your overjoyed sons and daughter. In the 40 meters Ocean Pure, your kids could have as much as rooms they want—without disturbing the other passengers. With maximum 10 passengers on board, you could develop close relationship with other families during the sailing trip. Ocean Pure boasts their food—they take sailing food very seriously—and that would be another delight for your family! It is easy to feel like you are not enough preparing for your big event including your travel plan. This leads to constant worry and stress. There’s a lot of question running around caused by not feeling prepared. Those questions pop up on your questions like do I book a hotel in the right location? Will my money enough for the trip? Should book a rental car? It is common to feel anxious about the preparation regarding to the trip, especially when it is kind of your bucket list. Sometimes, you will even worry over small things that is not unnecessarily needed to be. It is important to remind yourself that preparing for the trip is important and you can be as thorough as possible to let your mind at peace. However, sometimes the inevitable happens. Nobody prepares for every eventuality. Besides, there is no such thing as perfect vacation. There is always a flaw or two of the place you are going to visit no matter how good the review is. First thing first, try to avoid questions regarding to what ifs and buts. You won’t ever know exactly which one of the option is the best unless you experience it. It is why you need to do your own research to prepare your trip. Starting from choosing the destination to booking a hotel room, you need to choose which one based on your need and preference. Of course some reviews may help but that’s that. You should decide yourself which option to choose. If you want, you can ask for help from professional travel planner. They will give you some advice as what kind of trip suits you based on your interest and preference. They will also help to sort out what kind of preparation you need to go through. Aside from asking help from professional, you can also buy and read a guidebook as well as packing list gear regarding to your travel destination. This gives you reassurance of what things you need to prepare for a smooth trip. Try to be more flexible if something goes against your original plan. For example, when you already book a room in a hotel but it is terrible, you can always change your plan by booking another room or another hotel. Making travel mistake doesn’t mean you make less preparation. Instead of dwelling with self-pity due to making lots of travel mistakes, you’d better consider them as something you can learn for the next travel plan. Thus. Your next vacation will be smoother. If your worry has anything to do with your health issue, make sure to consult your doctor and make thorough checkup. It is also necessary to research about medical facilities available in your travel destination so you know exactly where to get help when something happens to your health in the middle of your vacation. Anyway, you won’t ever really free from anxiety or wariness during a trip but try to focus more on bigger picture and enjoy your time. Bali as one of the most visited retreats offers many things to visitors. It is not a secret that the beauty of Bali is beyond imagination. You can truly know it when you experience it. If you are planning to have enjoyable getaway in this paradise, might as well book one of Canggu Bali villas. Of course, there are many parts of Bali where you can choose to stay in during your holidays such as Seminyak, Ubud, Denpasar, etc. 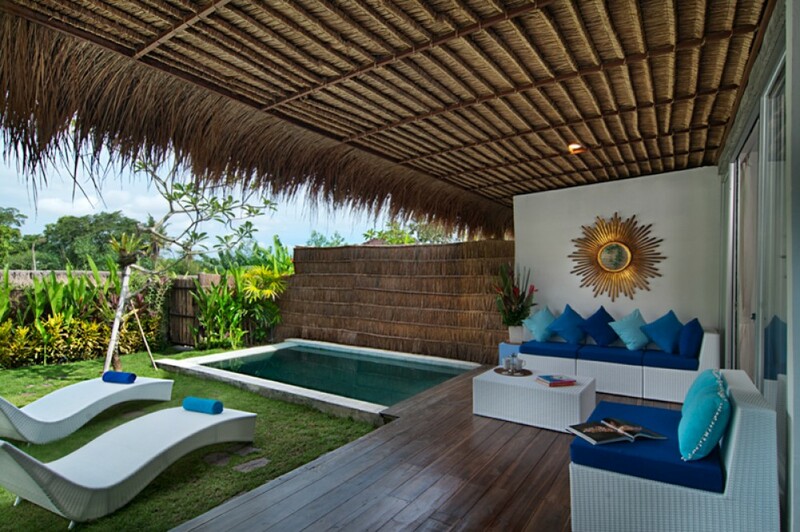 however, Canggu is perfect for those who are craving for peaceful and serene retreats. This particular area of Bali is already known for its laid-back atmosphere. The Chalina Estate – If you are looking for rural retreat, this is the right place to stay in for your holiday in Bali. This has six main bedroom with additional two others to accommodate you and your group while you are in Bali. This villa is fully staffed so everything you need will be provided started from attending to your basic needs like daily meals, grocery shopping, to bigger things such as organizing an event like wedding or birthday party. This villa is also equipped with a 35-metre long pool to let you relax during your stay. Proximity to the places of interests are also only few minutes’ walk away. Villa Zellie – This villa is rich with Balinese traditional vibe. The interior and general architecture are well attuned to the surrounding nature. It gives you serene vibe and easier to relax. This is the best place to release all your stress and hectic thoughts. The villa is furnished mostly in wooden materials. It has five bedrooms and already has in-house staffs to attend to your needs. It also features huge garden where you can bask in fresh air. There is a 20-metre pool you can enjoy. Besides. The beach is also only within short walk. Villa Mako – This luxury villa is contradictive to its rent rates. It is affordable villa you can book for your stay in Bali with affordable price to pay for the rent. It has three bedrooms to accommodate you and your travel buddies. It is equipped with a private pool as well as welcoming staffs to serve you. The villa is situated right next to the rice field and only five km away from Canggu beaches. Villa Canggu North – This is one of affordable Canggu Bali villas you can book for your holiday. It has only two bedroom. However, the architecture is well designed with more fashionable sense. It is located only 100 meter away from the beach. There is also private pool and adjoining rooms to attend to your family needs.